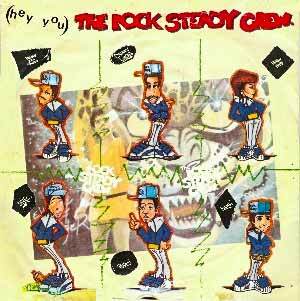 The Rock Steady Crew – (Hey You) The Rock Steady Crew – Official Music Video. The song was written by Blue Soldier, R. Blue and Stephen Hague (known for his work for Pet Shop Boys, OMD or Erasure). The group’s debut single “Hey You” hit number 1 spot in the Netherlands and reached the top ten in many European countries (including the UK at #6) in 1983. The song appears on the group’s 1984 album “Ready For Battle”.